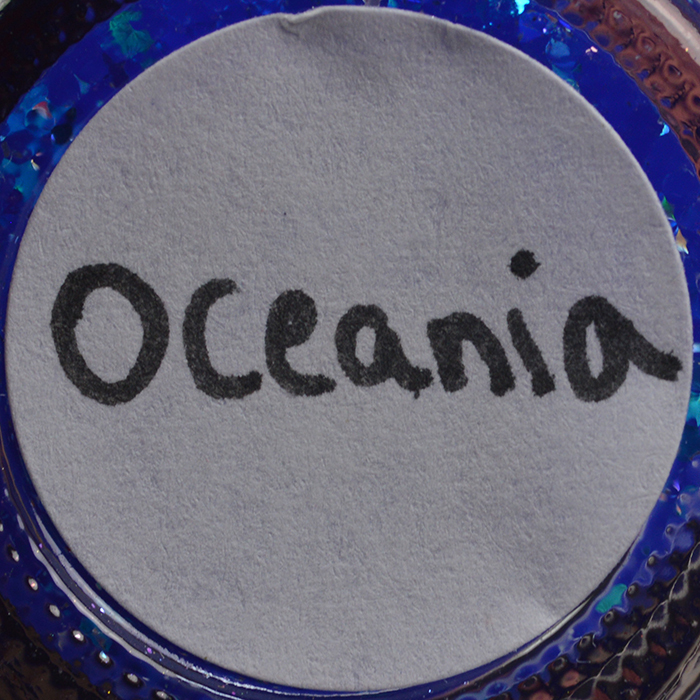 Oceania is..you guessed it..an ocean inspired jelly with a bright blue base and various glitters of all shapes and sizes. 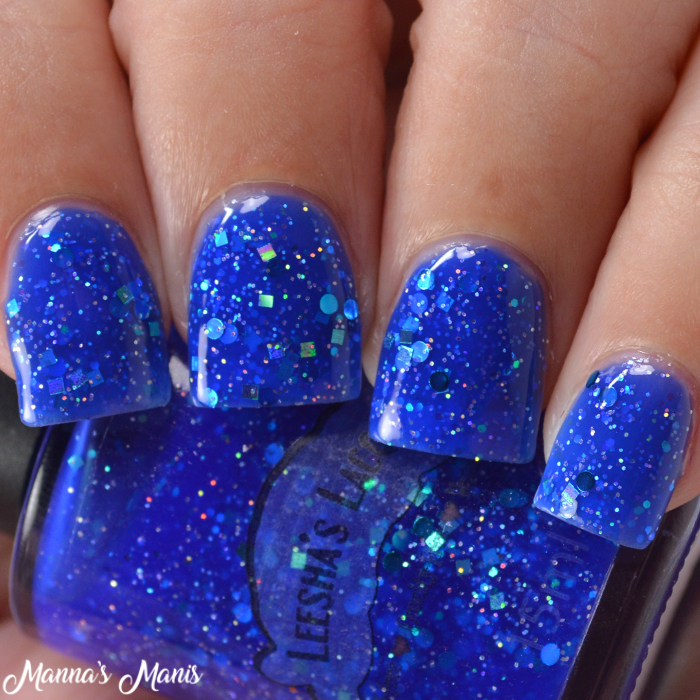 It's as close to the original as possible with a few more glitters added! Headed to the beach soon? Maybe a pool party? 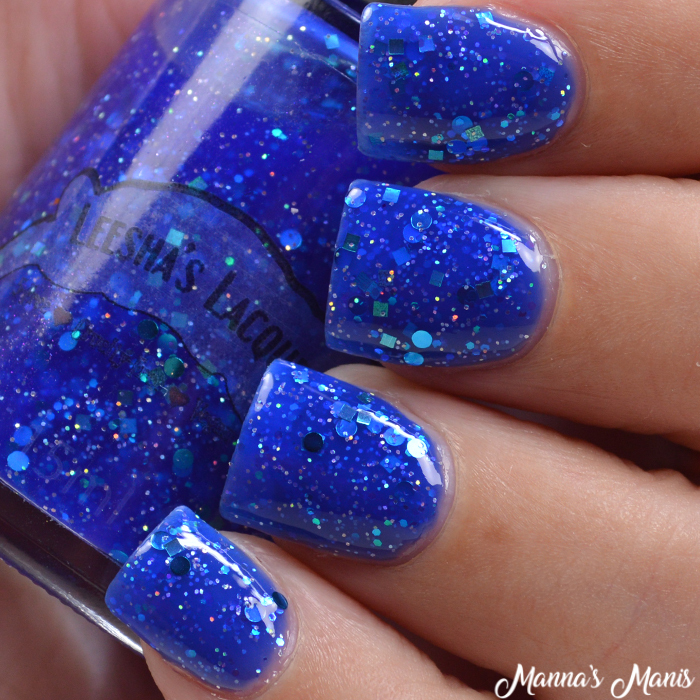 This will be a great polish to wear! 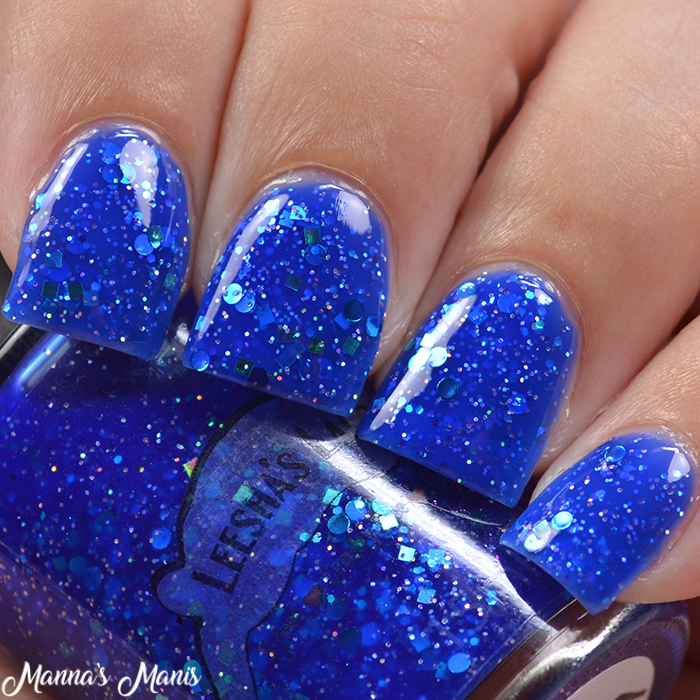 It's a jelly polish, so it does go on sheer at first but it builds up nicely at 3 coats. 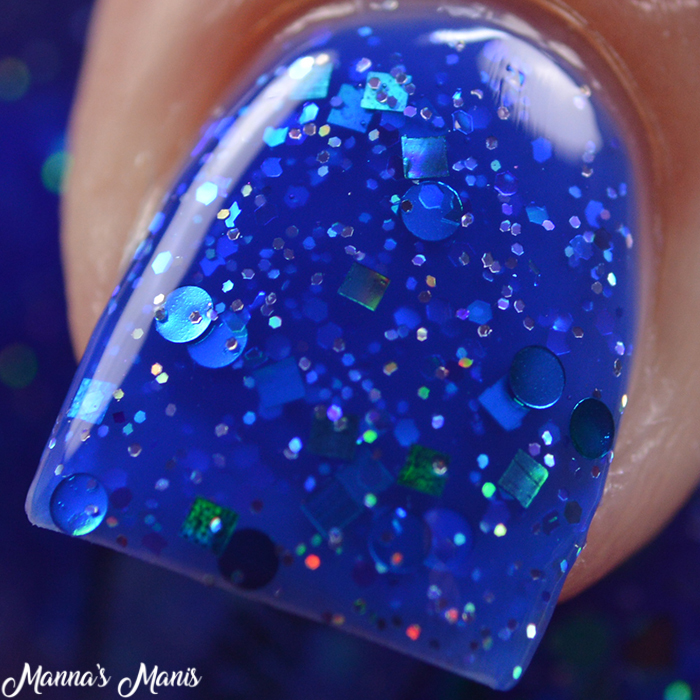 Lots of glitter in this one, but no issues with dragging and no fishing required. 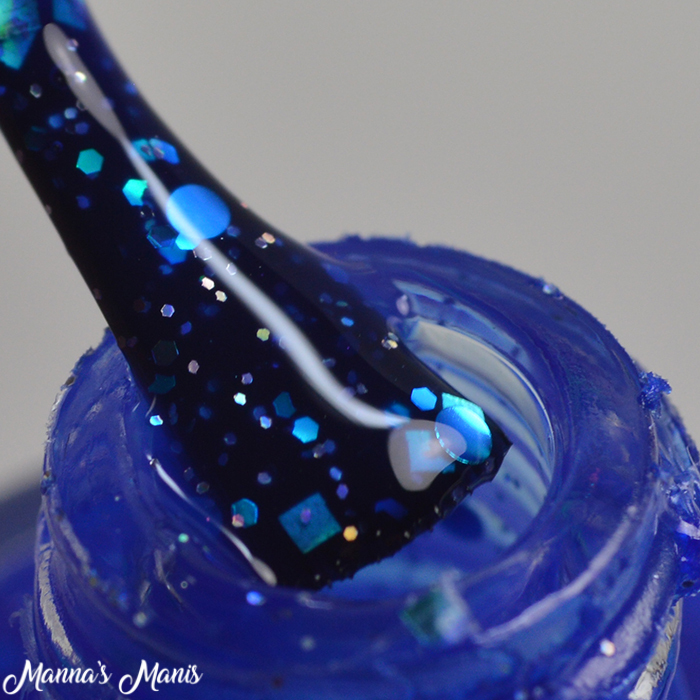 My swatches show 3 coats with a glossy top coat.